Available on vinyl, CD and download now. 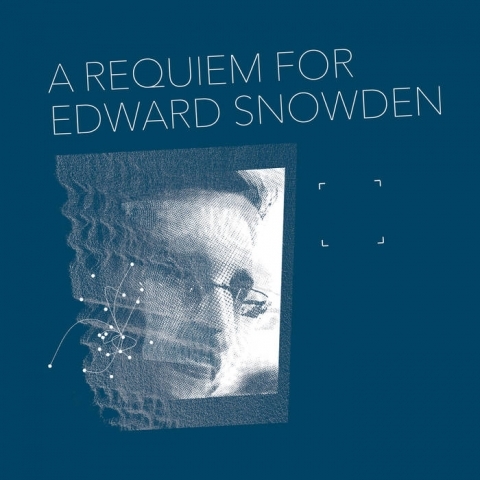 This audiovisual performance piece is based around the actions and decisions of whistleblower Edward Snowden. It focuses on a number of themes relevant to life in the 21st century; loss of faith and security, the hacking of digital media, invasion of privacy and personal sacrifice. "...beautiful reminder of what we all need to be fighting against." Snowden revealed that we live in a world in which the privacy of our daily routines is completely compromised. Exploring the consequences through electronic sound and acoustic instrumentation, the gestures of the performers will be analysed and interact with real-time visuals. Friday 23rd October 2015, 9pm. Sunday 6th September 2015, 9pm. Thursday 5th March 2015, 8pm. Saturday 11th October 2014, 8pm. Supported by New Media Scotland's Alt-w Fund with investment from Creative Scotland.